343 Industries will also tweak Forge, Warzone, and Arena playlists. 343 Industries and Microsoft announced Monitor's Bounty, the next free expansion pack for 2015's Halo 5: Guardians. Monitor's Bounty will add a custom games browser and Observer, a spectator-style mode that gives you more control over how you'll watch game sessions. "The new Custom Games Browser enables you to search for in-progress games from the main menu," explained Vince Hui, user experience design lead at 343. "Games you can join are based on their privacy settings when they are created in the lobby. We’ve also updated the Content Browser so that if you find a map or mode that you like, you’ll be able to browse for in-progress custom games from that file’s options." In their blog post, designers from 343 wrote that they've been wanting to add the custom games browser and Observer mode for a while, but needed to build its search engine and content browser first. 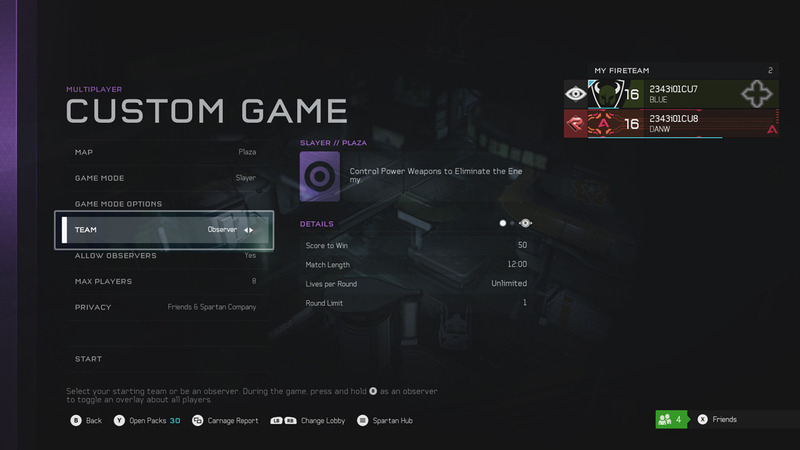 Halo 5's custom games browser will be available on Xbox One and Windows 10 PCs. Halo 5: Forge Bundle, the Windows 10 version, gives you access to the "entire Forge" and Arena experience. Observer mode consists of a deep toolset. You'll enter matches as an observer, complete with camera controls and a HUD that can be switched on and off. "We hope this opens up new possibilities for players to cast games, stream cool game modes, and run online tournaments without disrupting those playing the game or waiting for the film to be accessible," 343 wrote. Monitor's Bounty is the tenth free expansion for Halo 5. 343 promised to reveal changes that will be made to Forge, Warzone, and Arena playlists tomorrow, December 7. The developer put out a short teaser for the content last month.